It's getting more expensive to own a car, and spiking oil costs are the main culprit. Besides downsizing and driving less, there are ways drivers can ease the pain. The most important dollar figure for calculating what it costs to own and maintain a car is $140. 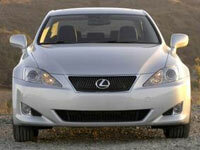 The Lexus IS 250’s high resale value helps make it one of the least expensive luxury vehicles to own. That’s about how much a barrel of oil currently costs. This historic high is almost single-handedly responsible for driving up costs of owning and maintaining a vehicle. A new car driven 15,000 miles annually will cost owners $8,121 per year, up from $7,823 in 2007, according to the 2008 edition of AAA’s annual study that assesses ownership costs. That’s a 1.9-cent increase per mile to a total of 54.1 cents per mile. The study, called “Your Driving Costs,” calculated ownership costs for four-wheel-drive SUVs separately, and they drain significantly more funds than the average car: a projected $10,448 per year, up from $9,997 in 2007. Downsizing and driving less are two of the most obvious and immediate ways to save on driving expenses. But there are other ways to curtail costs, some of which have little to do with prices at the pump. Simply lengthening scheduled maintenance intervals can save money. Today’s vehicles can go longer between routine services, such as oil changes. “There are better quality engines being manufactured with a more precise tolerance and improved lubricants, and the combination of these things allows you to expand certain maintenance intervals,” says Jim Cain, a spokesman for Ford in Dearborn, Mich.
New cars can go longer than 3,000 miles between oil changes. Sticking to the manufacturer's recommendations and can save you money. General Motors now includes an “oil life monitoring system” on its vehicles; it’s currently on about 18 million of them. The system continuously monitors engine-operating conditions to determine when to change oil. Intervals usually range between 5,000 and 12,000 miles, depending on driving conditions and climate. The traditional 3,000-mile oil-change interval espoused for decades is becoming obsolete. And at around $50 a pop, fewer oil changes each year means more money in the bank — or more money for gas. 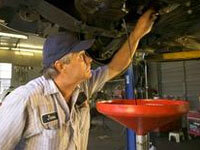 Being smart about where your vehicle is serviced can also keep costs down. Drivers should also be vigilant of unnecessary or premature maintenance. “You don’t have to change your wiper blades if they’re still successfully clearing the window,” Calkins says. Online resources such as the new website RepairPal.com can help in assessing maintenance and service costs and in finding reputable shops with competitive rates. AAA projects that maintenance costs for the three sedan classes (small, medium and large) will drop to 4.57 cents per mile this year, down from 4.9 cents per mile in 2007. The size of a car has a big impact on how much it costs to finance, own and maintain. And generally speaking, the smaller the car is, the less it will cost owners. For small sedans, the average ownership cost in 2008 is expected to be $6,320 — up from $6, 217 in 2007. Medium sedans should increase to $8,273 from $7,871, according to AAA. For large sedans, the cost is much higher: $9,769 in 2008, up from $9,380 in 2007. For minivans, costs should increase to $8,644 from $8,639, which is lower than large sedans and SUVs. Those numbers suggest that value-oriented drivers shopping for a large vehicle that accommodates five or more occupants would be better off choosing a minivan over a large sedan or SUV when it comes to ownership costs. High gas prices are the main culprit for rising ownership costs for automobiles. Fuel expenses are up across the board, as expected. The most dramatic hikes are for less efficient, larger vehicles. Four-wheel-drive SUVs still have the highest fuel expense, costing owners a projected 17.05 cents per mile in 2008, up from 12.6 cents in 2007, according to AAA data. Minivans do slightly better on fuel: 14.01 cents per mile this year, versus 10.6 cents last year. On average, owners of small sedans like the Volvo S40, for instance, will pay the least in fuel expenses: 9.39 cents per mile this year, up from 7.4 cents in 2007. Medium sedans will cost owners 12.34 cents per mile for fuel, up from 9.4 cents; and large sedans 13.38 cents, up from 10 cents. AAA’s fuel costs for 2007 were based on $2.25 per gallon gas at the end of 2006, while 2008’s were based on $2.94 per gallon at the end of 2007 — a figure that already seems quaint. 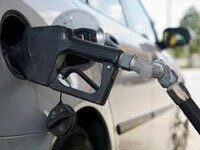 Ballard and other industry analysts believe high gas prices could be here to stay. If so, the public will likely downsize to smaller vehicles, own fewer vehicles and drive fewer miles, experts say. The U.S. Department of Transportation reports that Americans drove 3.6 percent fewer miles last year than the year before — a total of 3.003 trillion miles in 2007 compared to 3.014 trillion miles in 2006, according to preliminary measurements. That would make 2007 one of the few years — if not the only year — in U.S. history during which total traffic volume decreased. “It’s undeniable that consumption patterns are changing and are in transition right now,” says Doug Hecox, a spokesman for the Federal Highway Administration in Washington. But he stopped short of directly blaming higher gas prices for the reduction in miles driven. “We can’t attribute this anomaly to one variable. It could be the weather that drove people away from driving,” Hecox says. Picking the right vehicle for the right task can keep costs down. Save the minivan or SUV for family outings. As fuel costs drive up ownership costs overall, non-fuel-related expenses are holding steady. “In general, except for fuel and oil, automotive costs have stayed pretty competitive for an extended period of time,” says Steve Polzine, a director at the Center for Urban Transportation Research. Experts attribute this to increased competition among automakers, which keeps vehicle pricing and financing terms in check. Full coverage auto insurance for sedans is projected to drop to $943 in 2008 from $985 in 2007, according to AAA. And annual depreciation expenses are expected to decline from $3,392 in 2007 to $3,321 in 2008. Two areas that AAA expects will experience increases are license, registration and taxes — up to $554 per year from $538 in 2007— and finance charges — up to $758 per year from $733 in 2007. For more tips on how to lower ownership costs, see the accompanying slideshow.